Fay B. Karpf was one of the earliest Jewish American woman sociologists. Born in Austria in 1893, Karpf eventually immigrated to the United States, where she attended the University of Chicago. She immersed herself in the “Chicago School of Sociology,” and her first book, American Social Psychology: Its Origins, Development and European Background (1932), was a standard textbook in the field of social psychology. 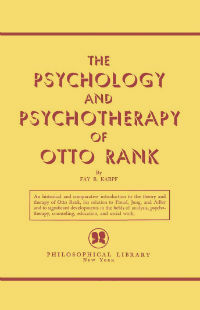 She studied with the psychoanalyst Otto Rank, and she later taught social work at the Training School for Jewish Social Work in New York. After the school unfortunately closed, Karpf moved with her husband to Los Angeles, where she became a practicing counselor and psychotherapist, and she continued contributing to the fields until her death in 1981.